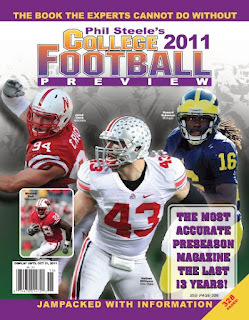 Phil Steele has released his 2012 preseason All-Big Ten teams, and a lot of familiar names have made their way onto the list. Topping the 1st team list at quarterback is no surprise: Denard Robinson. Denard "Shoelace" Robinson is one of the most exciting exciting players to watch in all of college football, and, while nothing is set in stone this early, Denard seems to be the favorite to get the first team selection among just about everybody. The largest obstacle standing in front of Robinson is decision making. The Michigan staff says 1/3 of his 15 interceptions from a year ago were due to poor decisions, and Denard has acknowledged that flaw to his game. If we see a Denard Robinson that can keep attacking on the ground, as well as cut the turnovers in half, there is no way around crowning him with 1st team honors. The second Wolverine to find himself on the 1st team ballot is WR Roy Roundtree. Everyone remembers Roundtree from a year ago for the famous TD grab with 2 seconds on the clock against Notre Dame, but he only had 19 receptions all year, after 72 receptions in 2010. However, the absence of Junior Hemingway will open up a huge opportunity for Roundtree to step up as a target of Denard Robinson. The third and final 1st team selection for the Wolverines is OT Taylor Lewan, a 6-foot-8-inch, 294 lb junior. Lewan was one of the most physical presences up front in the Big Ten, but was somewhat downplayed because of the play of David Molk, last year's Rimington Award recipient. Lewan played a very key part in the success of both running the football and protecting Denard Robinson in the backfield. Very few teams had any kind of success penetrating the Michigan O-line, which in turn led to the success of Fitz Toussaint in the running game and allowed Robinson to toss 20 TDs. Fitz Toussaint is a name worthy of a 1st team bid, but with other RBs like Montee Ball and Rex Burkhead, he finds himself as the only Wolverine selected onto the 2nd team. Last year, Toussaint established himself as the primary back in the beginning of Big Ten play, and that is exactly what Al Borgess wanted from his Wolverines backfield, someone to step up and carry the ball 20-25 times a game for the long haul. The staff is still working to develop Toussaint into a back that can take the pressure off of Denard's legs, which would ultimately make them both more affective. Patrick Omameh is another big body up front for the Michigan offense, and, much like Taylor Lewan, was somewhat looked over because of the play of David Molk. Still, Omameh made huge contributions to the Wolverines O-line. I could have seen his name anywhere from 2nd team to 4th team and really wouldn't have been too surprised, so 3rd team is certainly a good fit for big man. Jeremy Gallon is the only Wolverine to find himself on the 4th team, but, of all players selected preseason, I believe Gallon is the most likely to move up by the end of the season, possibly as far as the 2nd team. He made a huge jump from 2010 to 2011, going from just 4 to 31 receptions and was a consistent target for Denard Robinson all season. Gallon's biggest weapon is speed, so his numbers will highly depend on his ability to get out in the open field, however Al Borgess goes about doing that. No Wolverine made it as a 1st team selection on defense, but the first of three to be named to the 2nd team is Kenny Demens. Demens finds himself on the 2nd team strictly because of his ability to find the ball carrier and bring him down. He isn't a defender who is going to nose out the ball through the air or rack up 10 sacks per season. In a defense led by coordinator Greg Mattison, the number one emphasis was ganging up on the ball, and that's exactly what Kenny Demens was able to do. All in all, Demens accounted for 49 solo tackles and 45 solo tackles. J.T. Floyd is a very nice selection for 2nd team CB. Floyd is a much improved cover corner who has had his share of tests. The biggest stepping stone to his game came against Notre Dame, when the defensive scheme matched him up 1-on-1 with Michael Floyd (now with the Arizona Cardinals) for most of the game, and he held his own for the most part. This is J.T. Floyd's secondary, and I expect to see a very solid season from the senior. The final Wolverine to be selected to the 2nd team is Safety Jordan Kovacs. Kovacs had to walk on to the football team and now finds himself starting at Safety and doing a fine job at it, as well. Kovacs is passion-driven player who makes the right plays at the right times. I actually thought Kovacs would be a 4th team selection, but this just goes to show the amount of respect he has built up with other people. Senior Craig Roh is the only Wolverine selected onto the 3rd team, but I think Roh could have been a 2nd team selection. Craig Roh's staple was the ability to get into the backfield. He accounted for a sack in all but four games that he played in. A lot of his success from last year was due to the attention required by Mike Martin and Ryan Van Burgen, so it will be interesting to see if he can keep his success going with those two up front with him. 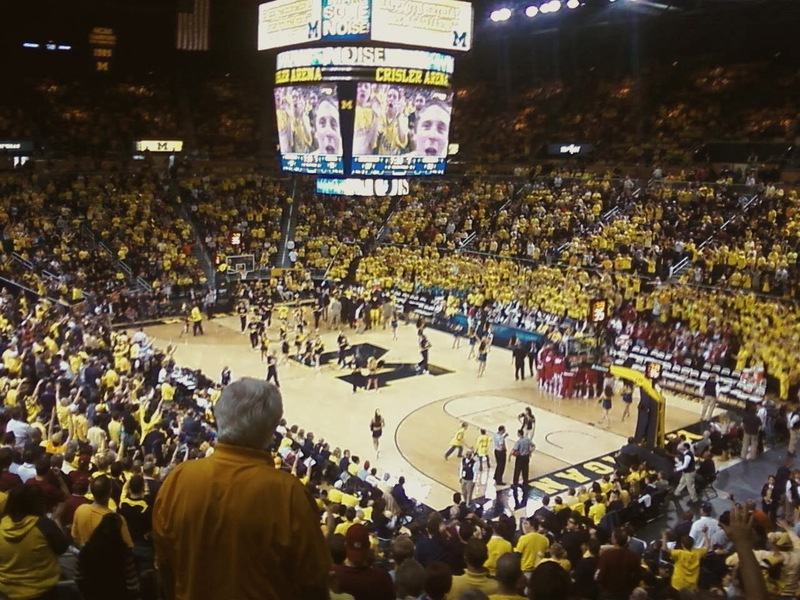 Thomas Gordon is probably my biggest surprise being selected for the Wolverines, but he has deserved this honor. Gordon's biggest up-side is closing speed. As the last line of defense of safety, Gordon accounted for a good number of tackles.